I have been super busy for the past couple of weeks and haven't been able to share pictures or thoughts about the big day, but I promise, it's coming! In the meantime, I want to congratulate Maliya and Chris on their engagement! The eighth grade sweethearts are making it official and I can't wait to help! 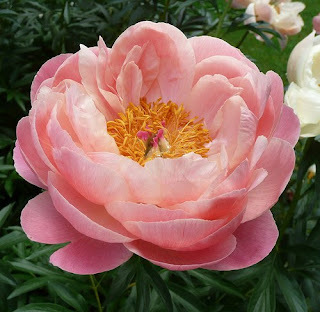 Above is a coral peony, one of Maliya's favorite flowers. Happy planning, Maliya! well, we are 1 day away from "the big day" and all the finishing touches are getting done! I can't wait to share pictures from the ceremony and reception. I will post when we get back from Cabo, check back in! 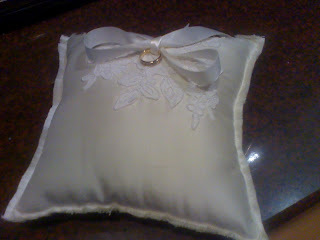 The photo above is of the ring bearer's pillow that Tia made specially for Avery! most importantly, getting married on a budget doesn't mean you can't have custom paper goods! please let me know your budget and we can work within it to make sure you are getting exactly what you want. at the moment, i accept paypal payments and personal checks. you do not need to have a paypal account to place an order. i am working on accepting credit cards - sorry for the inconvenience! wedding orders over $150 are shipped with full insurance in case of loss or damage. because shipping prices vary depending on the weight of your order and your location, i can not estimate exact shipping prices. i charge exactly what it costs me, with no additional fees. pa orders will be charged 6% sales tax. because your order is customized for you and your event, all orders are final. birth announcements: new parents have little free time to focus on an announcement of their newborn, therefore it is accepted that you can mail your announcements 6 months or more after the birth. thank you notes: within the week of receiving a gift, although it would be appreciated at any time. wedding thank you notes are known to take a little longer, as the couple may be on their honeymoon right after the wedding. i love doing custom work and creating something unique for each client or event. my design style is clean, elegant, sophisticated, and simple reflecting your personality with a touch of humor. i like to have all kinds of details about your event. for best results and to start the design process, please copy and paste this questionnaire into an email for me to get a better feel for your project, wedding, and style. please email me at jessa@madebyjessa.com. thanks! paper products you need: save the dates? invites? rehearsal dinner invites? placecards? table numbers? programs? seating chart? decor? *prices vary depending on your project, printing methods, and lots more. please see the process & pricing section to get more info. a note on postage: keep in mind that square and heavier pieces will require extra postage. i recommend having your stationery suite weighed at your local post office to determine the proper postage. hand-cancelled postage is recommended. the process of hand-stamping/canceling postage ensures that your thick, clean, beautiful envelopes stay that way. today, this process is only offered at limited post offices in each area; contact your local post office to find out if it is offered at a location near you. if you are nice to your post master, you will have more of a chance they hand-cancel for you!